Also known as a performance guarantee or contract bond. 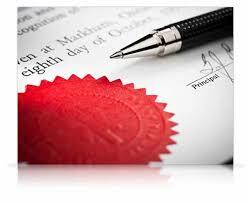 This is a surety bond issued to guarantee satisfactory completion of a project by a contractor. A bid bond is a debt secured by a bidder for a construction job or similar type of bid-based selection process for the purpose of providing a guarantee to the project owner that the bidder will take on the job if selected. The existence of a bid bond provides the owner with assurance that the bidder has the financial means to accept the job for the price quoted in the bid. Type of bond that guarantees that the contractor will carry out all necessary work to correct structural and/or other defects discovered immediately after completion of the contract, even if full payment has been made to the contractor. Also called advance payment guarantee. It provides that the advanced sum will be returned if the agreement under which the advance was made cannot be fulfilled.